Below is a brief description of the six steps. Additionally there is a more detailed explanation, by clicking on the link at the end. The student should be encouraged by the financial advisor to select the colleges the student is interested in attending and apply for admission early in the senior year of high school. There are several ways the student can be accepted for admission to college. 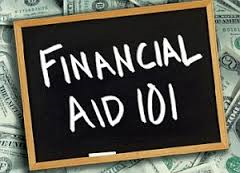 The financial advisor must determine what financial aid application forms are required by the various colleges that the student is interested in attending. The deadlines for filing these forms should also be noted. The financial advisor should then accurately and timely file the appropriate forms. When the Student Aid Report is received, it should be reviewed for accuracy by the financial advisor and the client. In addition, if there are any corrections or updates to be made, the financial advisor should make these corrections and timely re-file this form. If the client is selected for verification, the financial advisor must gather the information requested by the college to complete the verification. The financial advisor may also have to answer certain questions that the college may have on the application form. When the award letters are received, the financial advisor should review them for accuracy. The acceptance deadlines should also be noted. The award letters should be reviewed and compared to determine which ones are financially acceptable to the client. Also, the “out-of-pocket” and “true” costs should be determined by the financial advisor. If the financial advisor and client feel that an award letter is not financially acceptable, an appeal for a better award can be made by the client to the college. The financial advisor should assist the client in determining the factors the appeal is based on. However, the client should contact the college and make the appeal. The client should inform the financial advisor of any special circumstances that may have arisen after the financial aid process was completed. These special circumstances may be appealed to the college. The financial aid process can be intimidating to a client. Therefore, one of the most valuable services that the financial advisor can perform for the client is to “hold the client’s hand” through this process. A lasting relationship with a client can be established by assisting them through this process.